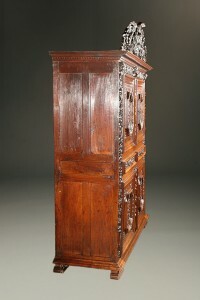 18th century cabinet made from Lyonnaise yew wood bed face. 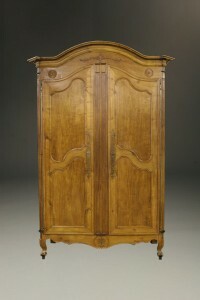 Early 20th century antique Marriage armoire. 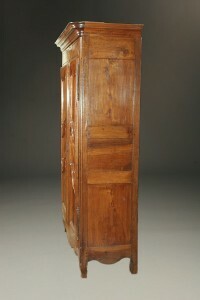 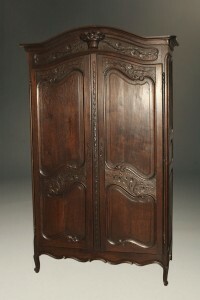 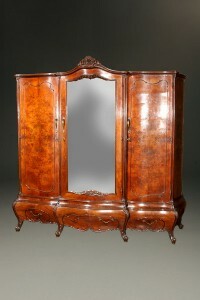 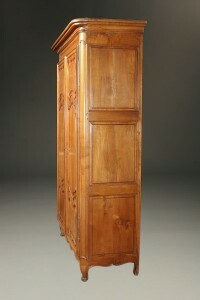 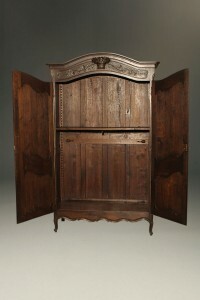 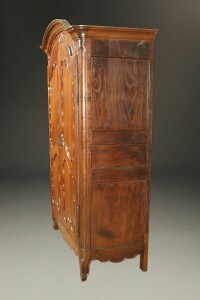 Late 18th century French bonnett top armoire. 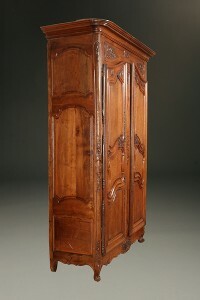 Early 19th century French Louis XV cherry armoire. 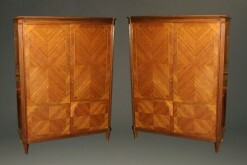 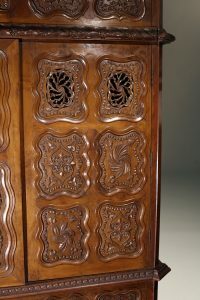 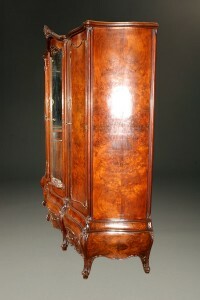 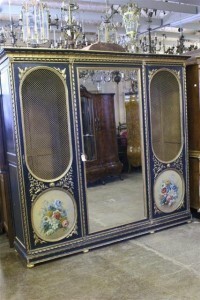 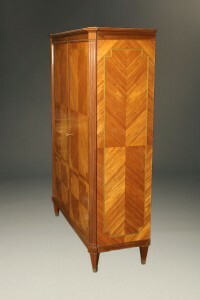 18th century French Louis XV armoire with inlay. 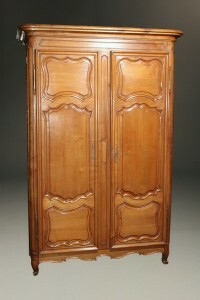 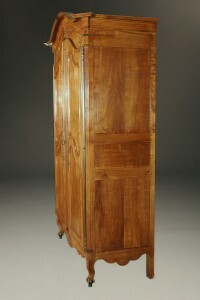 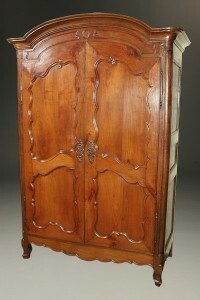 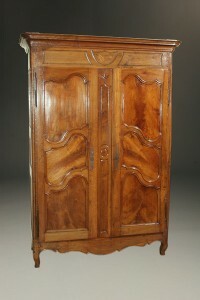 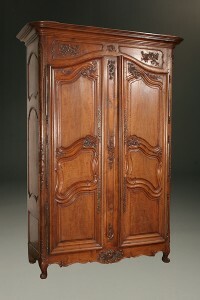 Very unusual French Neo Classic armoire with ball and claw feet. 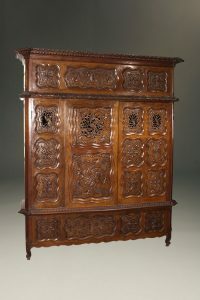 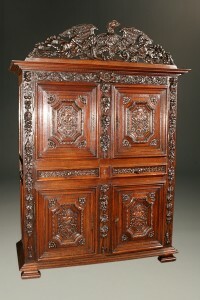 Wonderful carved Flemish cabinet with eagle crest. 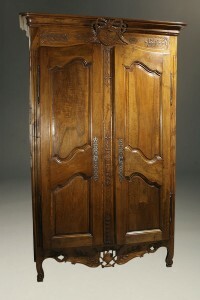 Late 19th century Italian bombe burr walnut 3 door armoire. 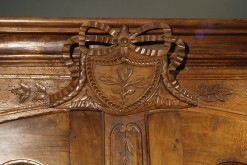 18th century French Lyonnaise armoir.